Beginner Band Set. Got music? Everything needed for a solo performance or to form a marching band. 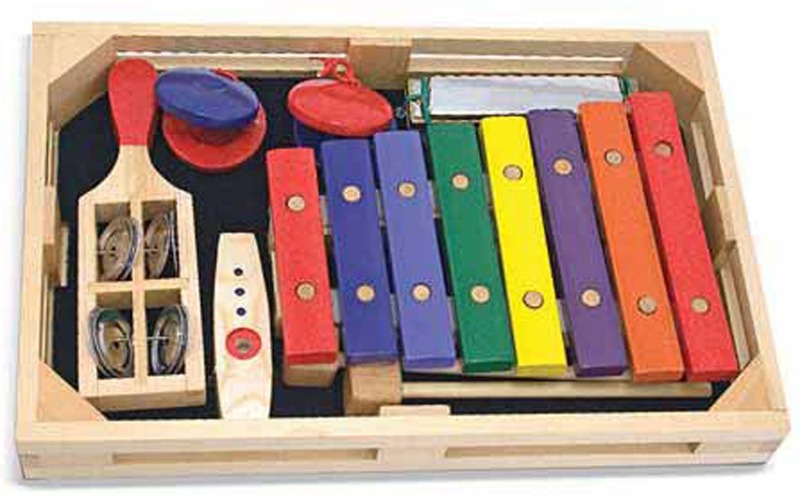 Features a xylophone, a kazoo, castanets, a harmonica and a jingle stick in a wooden crate! Ideal for involving preschoolers in the musical experience. Dimensions: 1.75" x 7.35" x 13.25" Packaged. Recommended Ages: 3+ years.